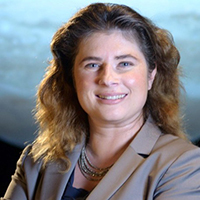 Michelle Thaller is a nationally recognized spokesperson for astronomy and science and the Assistant Director of Science at NASA’s Goddard Spaceflight Center. She has a Bachelor’s in astrophysics from Harvard and a Ph.D. from Georgia State University. Thaller’s research specialized in the evolution of binary star systems, and she has used the Hubble and Spitzer Space Telescopes, as well as ground-based observatories such as Mount Palomar, Kitt Peak, and Mount Stromlo for her observations. After a post-doctoral research fellowship at Caltech, Thaller became particularly interested in public outreach and science communication. Thaller has produced and starred in several podcasts series available on iTunes and YouTube, and she has received the highest honors for on-line programming including three Telly Awards. She has been one of the regular hosts of The Universe, television series on the History Channel, NatGeo’s The Known Universe and Discovery Channel’s How the Universe Works. Behind the scenes, she has led efforts to develop high-quality apps for smartphones and tablets, as well as involve NASA missions with social media outlets. In her current role, she represents all of NASA’s science themes, from Earth science and climate change, the Sun and space weather, solar system exploration, all the way out to cosmology and the deep universe. Thaller has received numerous awards for her work, including the Robert Goddard Award, the Women in Aerospace Award, and an induction into the Space Camp Hall of Fame.